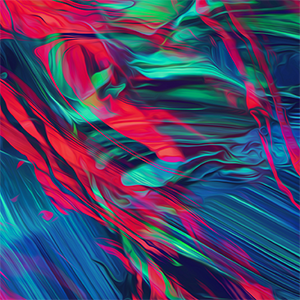 Abstract art combines all kinds of colours, shapes and textures in order to create a unique effect. Therefore, it’s often considered a pure form of expression, as the artist can convey his thoughts and feelings without any limitations. The shapes and forms can also be interpreted in various different ways. As a result, abstract art can be extremely inspiring. Obviously, we’re a big fan of that, here at CaseCompany. Naturally, it seemed like a no-brainer to us to develop a collection full of abstract designs. Thanks to our varied offer, you will undoubtedly find something that suits your style and personality. If you enjoy soothing and peaceful designs, we suggest you take a look at our creations based on pastel colours. These soft shades will immediately calm you down. On the other hand, we also have plenty of radiant designs, full of bright colours and spectacular patterns. These will undoubtedly give your day a tremendous boost! In short, CaseCompany’s abstract collection has something for everyone. Simply take your time to scroll through our offer, and choose the one you like best. We’ll make sure you get a detailed print on your smartphone case!